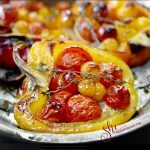 These beautiful Oven-Charred, Tomato-Stuffed Peppers are a delicious showstopper with an unexpected twist. Who doesn’t love beautiful food, especially when it tastes fresh and delicious? 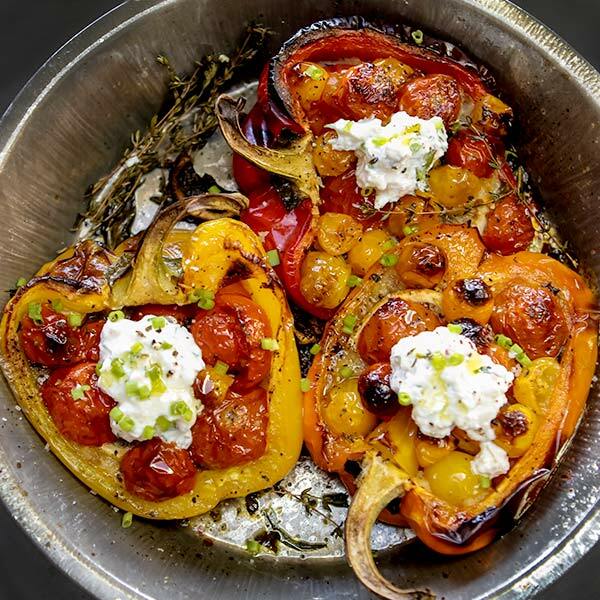 This stellar recipe for Oven-Charred, Tomato-Stuffed Peppers from Dorie Greenspan‘s latest cookbook, Everyday Dorie, The Way I Cook fits all the criteria. 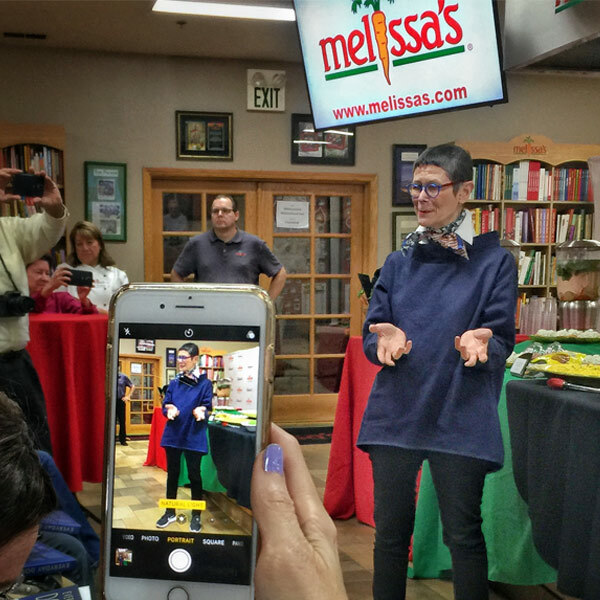 This is my second time hearing her speak at a media luncheon at Melissa’s Produce. The first time I wrote about her recipe for Smoky, Cheesy Cookies from her cookbook Dorie’s Cookies. It was all about the sweets! This time Dorie spoke passionately about her everyday recipes that can be easily created with basic culinary skills. 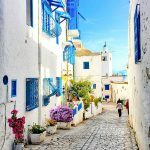 “Whenever I’m cooking, I try to sneak in a little surprise. 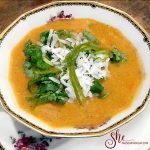 I love it when there’s something unexpected in a dish, especially when it’s one we know well,” Dorie explains. Dorie calls herself a practical cook and likes to use what she has on hand. She constructs her recipes so you will be able to do that as well. She teaches you how to cook ahead as well as spontaneously with what you have on hand. Everyday Dorie makes cooking a pleasure for you as well as your guests. 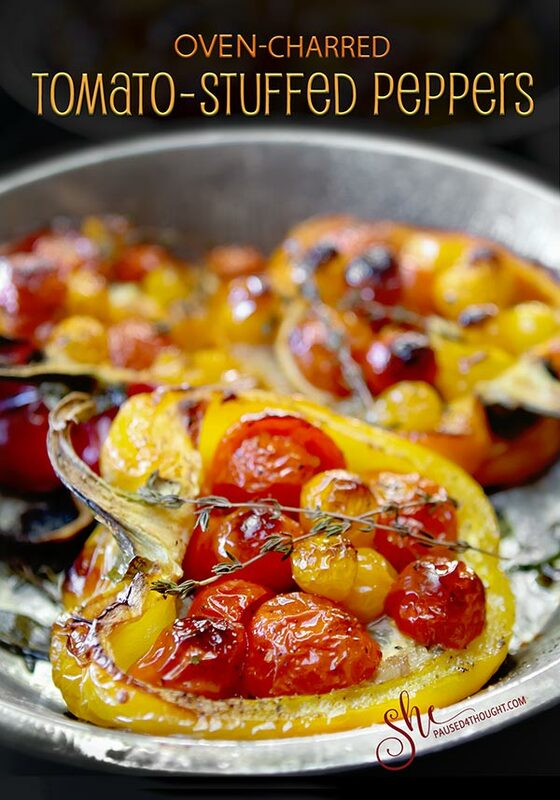 This dish has the heady flavors and fragrances of the South of France, where baked, stuffed vegetables are a specialty. Select nicely ripe tomatoes, and keep color in mind: If your bell peppers are red, use yellow tomatoes, and vice versa. 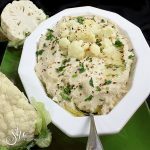 This dish is a good example of Dorie’s love of adding an unexpected twist. The stuffing has anchovies in it, also another southern French trick. But, don’t let the anchovy content scare you: You won’t even know they are in there. But if you must skip them, Dorie suggests substituting an extra spoonful of oil and a little more salt. Once you put the peppers in the oven, check on them halfway through. If they get a little more charred than you would like just put a piece of aluminum foil loosely over the top and finish cooking. Dorie suggests adding her Ricotta Spoonable from page 22 on top of the peppers. They are scrumptious either way. 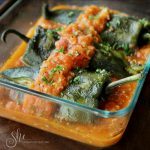 These oven charred, tomato-stuffed peppers are packed full of flavor as well as being a visual delight. 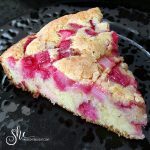 Center a rack in the oven and preheat the oven to 425 degrees F. Place a 9 1/2-inch pie pan (or similar-size baking dish) on a baking sheet lined with aluminum foil, parchment paper or a silicone liner. Spread a tablespoon of the oil over the bottom and sides of the pie pan, then scatter over the slices of garlic, half the sprigs of herbs and half the torn basil, then season with salt and pepper. Stir the breadcrumbs and anchovies together in a small bowl. Grate the zest of the lemon over and squeeze in the juice from half of the lemon (about 1 tablespoon; precision isn’t important here). Cut 6 thin slices from the other half of the lemon, then cut the slices in half; set aside. (If any lemon remains, squeeze the juice from it over the breadcrumbs.) Stir in l tablespoon oil and season the crumbs with the piment d'Espelette or cayenne. Taste to see if you want some salt (anchovies are salty, so the seasoning might be just fine). Bake the peppers for about 1 hour (check at the 45-minute mark) until they're as soft as you'd like them to be - poke the side of one with the tip of a paring knife to judge. The juices and oil should be bubbling and the peppers charred here and there. Remove and discard the herbs from the top of the peppers. You can serve the peppers straight from the oven, warm or at room temperature. If you'd like, drizzle them with a bit more oil, top them with a little ricotta (adding a dollop of ricotta is particularly nice if you're serving the dish warm as a starter) and sprinkle with chives or other herbs. 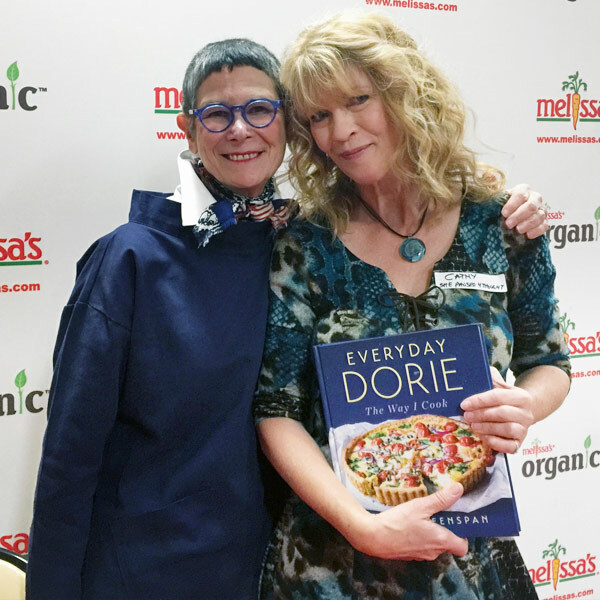 Thanks, Dorie for another great cookbook. I can’t wait for your next one. 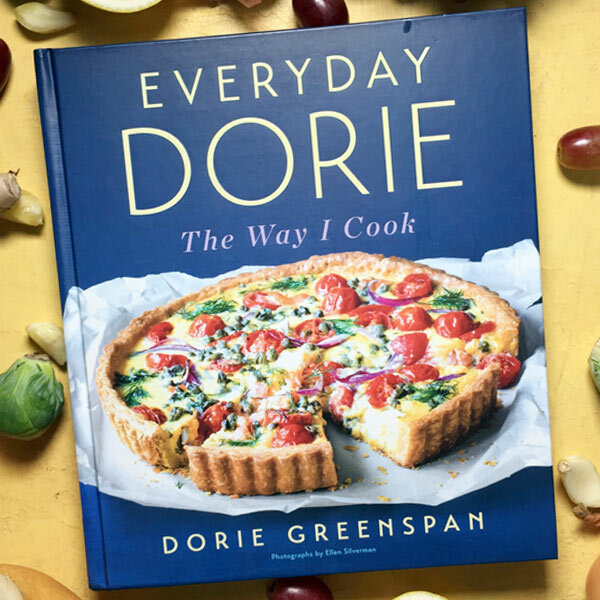 Disclaimer: I received a copy of Everyday Dorie to review. All opinions are my own. Those look so beautiful and healthful. Will have to try them. These look right up my alley! Can’t wait to try them. Thanks! I think you will really like these Nan! Thank you Valentina. It is a really interesting book full of unexpected twists. 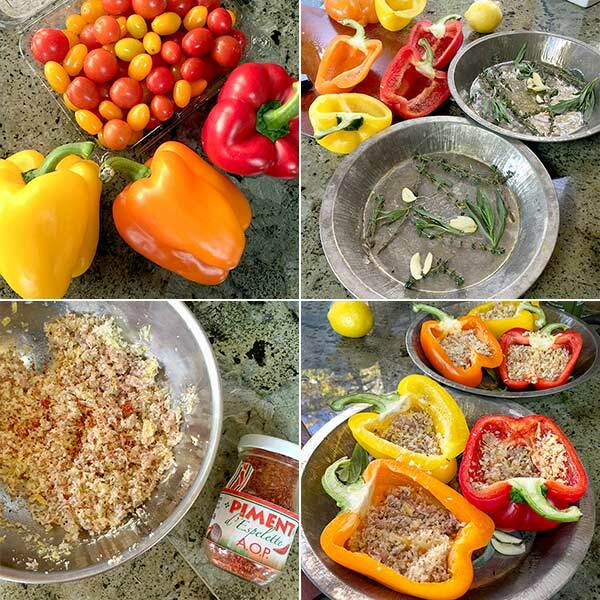 Looks beautful, Cathy, and a clever take on stuffed tomatoes – the opposite! Yum. Thanks Susan. It is clever and delicious. Win-win! This is a beautiful vegetable side for any dinner… so colorful and a pop of flavor to boot!!! Thanks Cheri! It is a fun recipe, hope you enjoy it. What a gorgeous recipe. And anchovies are my favorite so I have no issue with that! 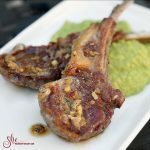 The anchovies are a nice twist to this beautiful recipe. The colors are spectacular for sure. I am sure your girlfriend will be very happy with your thoughtful gift. Now that really is a side dish to add color to a plate. I can imagine how good it will be with summer tomatoes. Wishing you all the best in this new year. The good news about making this dish is the roasting sweetens the normally bland winter tomatoes. Wishing you all the best for 2019! 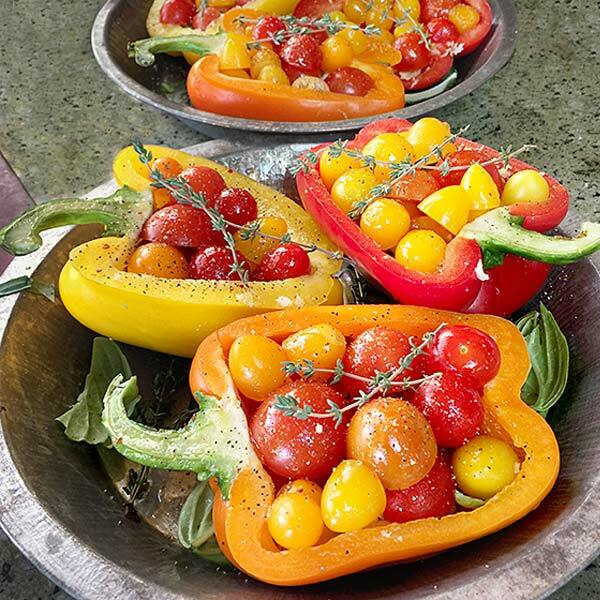 So many fabulous recipes in that book and these peppers are GORGEOUS! I cannot wait to make them – just hope mine come out as pretty as yours! What a clever idea to add clams! I bet that was so delicious.